Alvin is one of many new daddies who are totally hands-on when it comes to baby care. No longer is this ‘a job for the mum’ – Alvin has no problem caring for his little one on his own, which means mummy can rest easy knowing that her man of the house knows exactly what to do, every time. “We have no helper and we stay on our own, so it’s great that Alvin can manage even without me around,” said mummy Adel Koh, 34, who works as a bank officer. To Alvin, the hands-on nature of the class by Thomson makes a big difference. “It’s amazing how much better you can understand when you’re trying out what you’ve learnt on your very own baby,” he said. One of the most useful takeaways was learning to decode a baby’s cries. 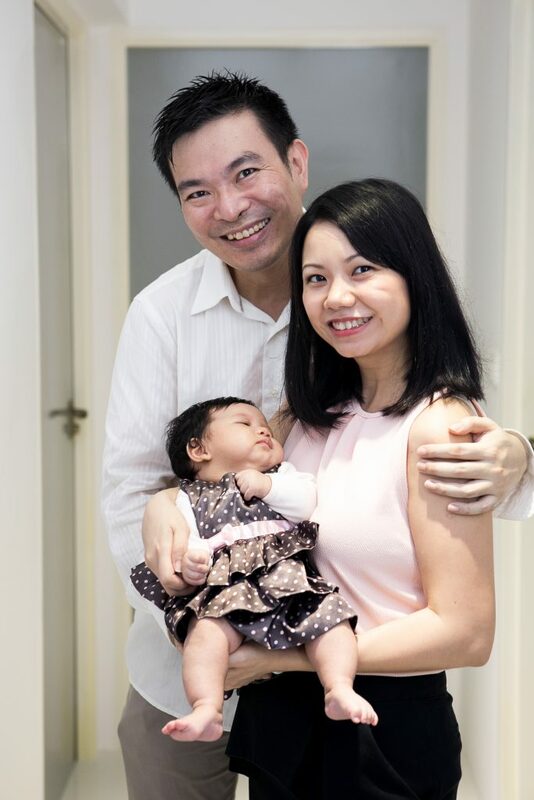 In one hour, Alvin learnt how to hold Alyssa, how to help her burp, bathe her, feed her and other essential skills from Thomson ParentCraft Centre. As a newbie dad, Alvin recalled a profound sense of satisfaction when he managed to calm Alyssa down on his own. To Alvin, a crying baby may be hard to handle for many guys, but just remember that a baby is new to the world, and that daddy is here to protect her. “Before Alyssa came along, it was all about me and my wife. Now I try to place myself in the shoes of Alyssa to understand her needs,” he said. ONE-HOUR BOOT CAMP FOR DADDIES! Thomson Medical offers an exclusive one-hour class for new daddies. While mummy is resting in the delivery suite, daddy gets some real hands-on practice with their newborn baby! This class is also open to daddies whose babies were delivered in other hospitals. Call Thomson ParentCraft Centre at 6251 4090 to find out more!